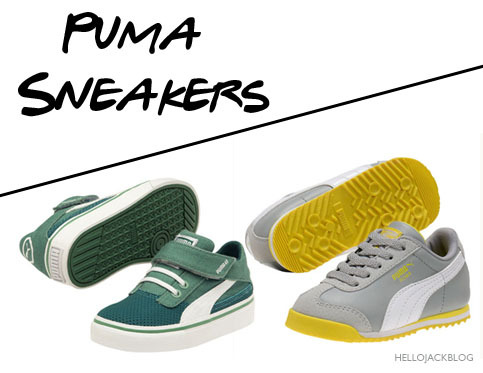 Last night Gilt Baby & Kids had an amazing Puma sneaker sale (there are still some styles & sizes available) and I scored these two super cool pairs for Jack. I ordered a size 8 - he's currently a size 7 - so he can wear them this fall and hopefully they will still fit through winter. I like to stock up on shoes and clothing whenever a good sale comes along even if the items are out of season. Along with Gilt, The Mini Social, Zulily, MyHabit and Rue La La are some of my favorite baby & children flash sale sites. How about yours, which sites are your favorite?